👀Shayna Mehta hits the defender with a killer crossover and then hits the 3-pointer! Junior guard Shayna Mehta (San Francisco, Calif.) hit a single-game program record nine 3-pointers against No. 20 California on Sunday at the Pizzitola Sports Center. Shayna Mehta scored 22 points, all in the second half, Jordin Alexander netted 20 points, and Brown University women's basketball came back from a halftime deficit to win at Columbia, 73-63, on Saturday night at Levien Gymnasium. Mehta receives her third Player of the Week honor of the season and eighth Ivy League weekly award, as she was a five-time Rookie of the Week last season. Brown women's basketball coach Sarah Behn, junior guard Shayna Mehta, and sophomore guard Justine Gaziano joined the Brown Bears Sports Report at Flatbread Company on Wednesday to wrap up the Bears' 2017-18 season. 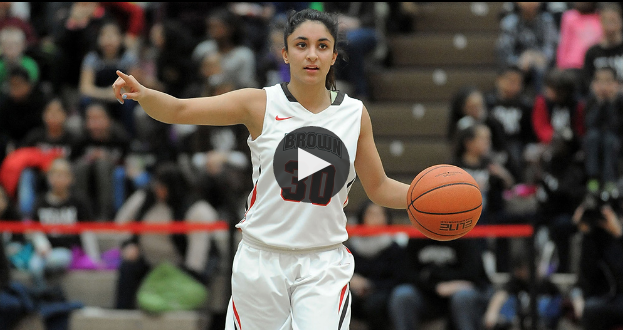 Brown University sophomore guard Shayna Mehta joined the Brown men's basketball broadcast team at halftime of the Bears' game against Bryant on Monday to discuss her rookie season, this year's team, and her journey to Brown. 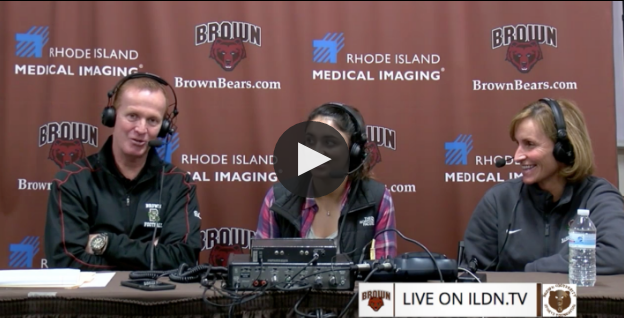 Brown University women's basketball head coach Sarah Behn and sophomore guard Shayna Mehta joined the Brown Bears Basketball Coaches Show on Wednesday to discuss the Bears' season thus far and look ahead to the team's remaining games in Ivy League play. Junior captain Megan Reilly and sophomore guards Taylor Will and Shayna Mehta comment on the Bears' appearance at the inaugural Ivy League Tournament.